Every day, Red Crossers around the country choose to embrace their duties to serve others in need amidst their own personal challenges or unique circumstances. 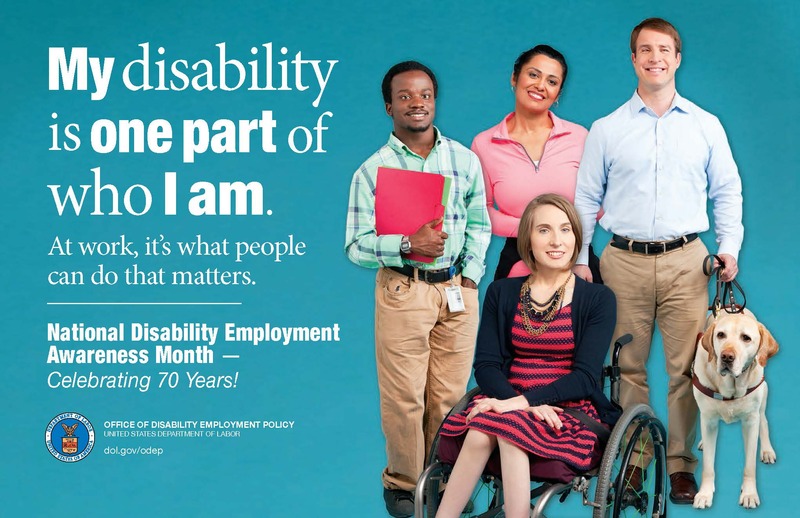 These challenges are often attributed to a personal disability that might require additional accommodations or support to do their jobs as effectively and efficiently as possible. Because October is National Disability Employment Awareness Month, the American Red Cross is demonstrating its support of all people with disabilities – including our own employees and volunteers – with the launch of its fourth team member resource group called the Ability Network which will serve as a platform to recognize the positive contributions of people with disabilities as well as those with access and functional needs. The Red Cross has the pleasure of acknowledging (and ultimately celebrating) our employees and volunteers for literally who they are and what they bring to our organization each day in terms of their differences – from gender to ethnicity and sexual orientation – and we couldn’t be more pleased to now have another forum to address the important issues of our people with disabilities – a forum that is open to all employees and volunteers. We encourage each of you to get engaged this October during National Disability Employment Awareness Month. Start by joining the Ability Network Facebook page as a friend, and invite other employees or volunteers to join. Then, if you’re so inclined, demonstrate your support by becoming a member of The Ability Network.